Which vehicles come with the Watermark Warranty Forever? The Warranty applies to all new vehicles and preowned vehicles that meet the requirements set by the provider and dealership. What’s covered under the Watermark Warranty Forever? The components covered are exactly the same as the manufacturer’s Powertrain Warranty plus any additional coverage that is listed on the Watermark Warranty Forever booklet provided when you buy a qualifying vehicle. How long is the Watermark Warranty Forever really good for? The Watermark Warranty Forever is valid for as long as you own the vehicle & for an unlimited time, unlimited miles. Zero. We’re building “Customers for Life” so the Watermark Warranty Forever comes standard with every qualifying vehicle meeting the criteria above and is included at no extra charge. No extra maintenance is required. You must simply follow the manufacturer’s Recommended Maintenance as referred to in the owner’s manual. No. Our Award Winning Service Department will certainly exceed your expectations but you are not required to come here. To maintain the Watermark Warranty Forever, you must perform the Manufacturer’s Recommended maintenance by either the Dealership or by a repair facility of your choice that has been preauthorized and keep your records. It’s that easy! Where am I covered by the Watermark Warranty Forever? The Watermark Warranty Forever is good at any licensed repair shop in the United States. Is the Watermark Warranty Forever transferable if I sell the vehicle? No. The Watermark Warranty Forever stays with the owner as long as they own the vehicle. There are no catches, hidden fees, or gimmicks. Our dealership provides this product as an added value to our Customers for doing business with us. The only “catch”? You have to buy your vehicle here! Engine: Cylinder block and head and all internal parts, intake manifold, timing gears and gaskets, timing chain/belt and cover, flywheel, valve covers, oil pan, oil pump, engine mounts, turbocharger housing and all internal parts, supercharger housing and all internal parts, engine control computer, water pump, fuel pump, seals and gaskets. 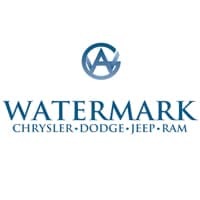 The complimentary Watermark Warranty Forever is brought to you by Watermark Chrysler Dodge Jeep RAM and is not a manufacturer warranty.